Apple is reportedly set to unveil a next-generation iPod touch that will be a major change from its predecessor, packing in a dedicated GPS receiver, a high-definition FaceTime camera, and a 4-inch in-cell touchscreen  and potentially acting as a game controller with other devices like the Mac or iPad. The details were revealed on Wednesday by the well-sourced Ming-Chi Kuo of KGI Securities. He also indicated that the iPod touch will come in different colors beyond black and white, much like the iPod nano and iPod shuffle, to increase the appeal of the iPod touch to younger customers. He also believes Apple will somehow enhance compatibility of the iPod touch with other devices thanks to new hardware and software in the device. The new additions would allow the iPod touch to connect to "Mac or iPad devices equipped with larger panel, working like a game controller," he said. By adding built-in GPS support to the iPod touch, Kuo said Apple will be able to offer better support for its own Maps solution in its new iOS 6 mobile operating system. And while the iPod touch is expected to have a high-definition forward-facing camera, the rear camera will be a thinner but lower-grade 5-megapixel module that will accommodate the slim body of the iPod touch. The updated iPod touch is also expected to have a 4-inch in-cell touch panel matching the screen size of the new iPhone. By switching to in-cell touchscreen technology, the new iPod touch could be 10 to 20 percent thinner than the current version, making it 6 to 6.5 millimeters thin and weighing less than 100 grams. Kuo also said the new iPod touch will feature the same A5 processor as the iPad 2, while the new iPhone will sport a faster A5 chip. There is no need for the iPod touch to use the A5X found in the third-generation iPad, he said, because it does not need to push as many pixels as that device. The use of an A5 chip and a higher resolution display were also detailed on Tuesday by Will Strafach, otherwise known as developer "Chronic." He revealed that the new iPod touch is known by the code name "N78AP." Finally, Kuo expects the new iPod touch will use the new, smaller 9-pin dock connector and cable like the latest iPhone. Apple is expected to let the existing iPod touch model go end-of-life as the company focuses on the redesigned hardware. 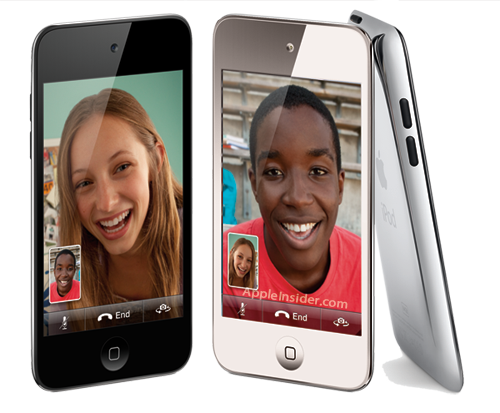 Kuo expects Apple will launch the new iPod touch alongside its next-generation iPhone. The new "iPhone 5" is widely anticipated to be unveiled today at a media briefing scheduled for 10 a.m. Pacific, 1 p.m. Eastern. 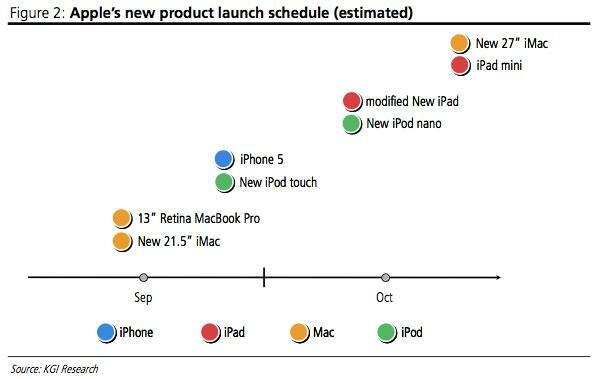 AppleInsider will have full live coverage.